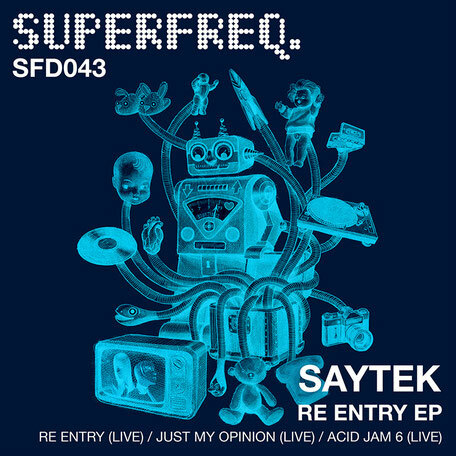 Superfreq kick off a series of new releases from live performer and production artist Saytek with his three-track ‘Re Entry’ EP. 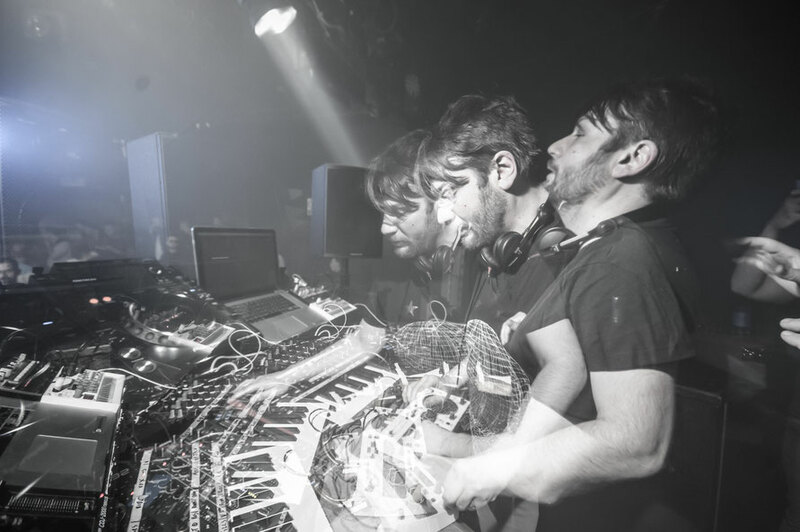 Having cut his teeth as a young clubber and producer at many of Superfreq boss Mr.C’s parties, he has possibly become one of the electronic music scene’s most in-demand live acts. Named ‘one of the UK’s freshest and most exciting acts’ by Carl Cox, his recent BBC Radio One live session apparently received broad critical acclaim. Saytek writes, produces and performs everything live on the fly, using a myriad of machines and effects. He has released on key labels like Bedrock, Marshall Jefferson’s Freakin303 and Kevin Saunderson’s KMS, and here serves up a trio of tracks culled from a series of live jams and edited down into DJ-friendly form. Up first is ‘Re Entry’, a Chicago-influenced modern house track with a bassline. Acid twitches, filtered and fiery vocals and coarse claps all add intensity to the groove. Then comes ‘Just My Opinion’. This one has rubber kick drums pumping away down low, cosmic pads swirling about and a male vocal repeating the title’s refrain. ‘Acid Jam Six’ completes the EP with spaced out atmospheres run through with a bright acid line that pulses and twitches.